After ongoing consideration, Ocean City, New Jersey is officially the next shore town slated to ban smoking and vaping on the beach. City Council unanimously approved an ordinance Thursday that will make the ban effective starting early July. Cigars, cigarettes, vapes and e-cigarettes will be off limits. 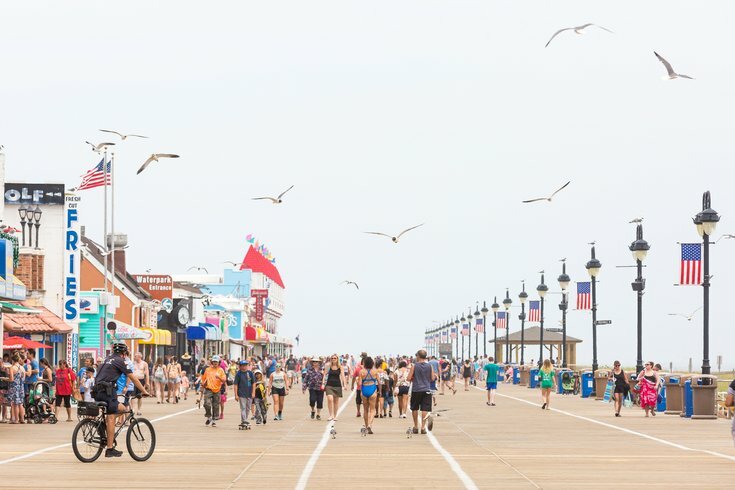 Ocean City, N.J. named 'happiest' coastal town in the U.S. The City Council meeting discussing the bill saw insight from both sides of the banning debate, with some councilmembers worrying about implicating too many regional restrictions, with other councilmembers saying that the ban is wanted by a majority of residents. Exposure to second-hand smoke was a major factor in moving forward with the ban. The ordinance previously passed stated it wanted to protect beachgoers, especially children, from inhaling second-hand smoke. Though second-hand smoke isn't an issue with vaping, the Surgeon General previously said that vaping devices can produce harmful chemicals that could be inhaled second-hand. Though there is potential for a bill to move forward that will induce the ban statewide, the local rule passed first. Former Gov. Chris Christie vetoed similar smoking ban legislation in 2016, but current New Jersey Gov. Phil Murphy still has the bill under consideration. Before the law could pass statewide, however, it has been implemented at the local level in Ocean City. Other beaches to implement similar bans throughout the Jersey Shore this year include Asbury Park, Wildwood, North Wildwood, and Point Pleasant. Smoking is also prohibited on the boardwalk in the Wildwoods.